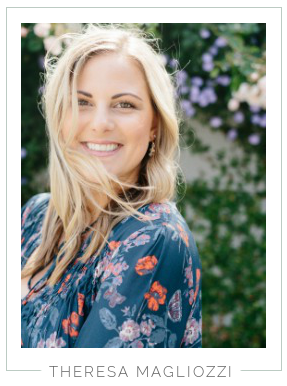 In September, Jenni hosted another blogging link up, Blogtember. I didn't participate this time, since I had so much going on in September. But I bookmarked her ideas because so many of them sounded like fun! I was especially interested in the Myers & Briggs personality test prompt she had. I had put it in the back of my mind for a future post, then the other day one of my good friends was talking about how she likes to take personality tests and read about the results. So, now I was even more curious. I hadn't taken a test in years, since high school maybe. And I don't remember what the results were back then. I assumed I was an "I" for "Introverted" because I can be quite shy in certain situations. But I was clueless as to what the other results would be. So yesterday, I sat down to answer these 72 questions so I could see what this personality test was all about. I was surprised to see ENFJ! Me, an extrovert? No way. But when I read about the qualities of people who are ENFJ, I thought, yep, that sounds like me. But still, I was curious, what if I took the test again? So a couple hours later, I went through the questions again. This time, I was an INFJ! Again, when I read the qualities of those who are INFJ, it sounded like me. "INFJs are gentle, caring, complex and highly intuitive individuals. Artistic and creative, they live in a world of hidden meanings and possibilities. 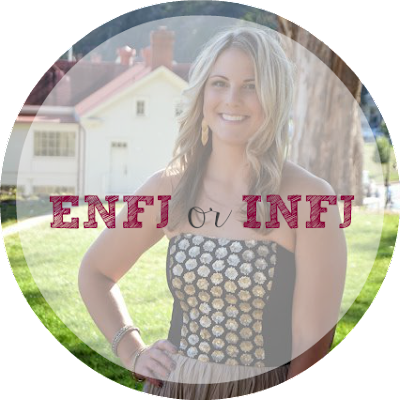 Only one percent of the population has INFJ Personality Type, making it the most rare of all the types." According to the test, I am only a "moderate" introvert, so possibly that is why the first time I took the test I was "extrovert." It seems I'm right on the border of "I" and "E" which I find very interesting. I bet when I took this test in high school, I was definitely an "I" and now it seems I'm right on the border. While I do enjoy going out and socializing with friends, I also re-charge by spending quiet time at home. I need a balance between the two. As I read both the description for ENFJ and INFJ I found that could see qualities I posses in each description, but I think I connect a little more with INFJ. I should have Andrew read it and see which one he thinks is more fitting. I'd also be interested to know what his results are. I'd guess he's probably something like ESTJ. "INFJs are concerned for people's feelings, and try to be gentle to avoid hurting anyone." "INFJ is a natural nurturer; patient, devoted and protective." "Because the INFJ has such strong intuitive capabilities, they trust their own instincts above all else." "INFJs put a tremendous amount of faith into their insticts and intuitions." "In the workplace, the INFJ usually shows up in areas where they can be creative and somewhat independent. They have a natural affinity for art." I'm interested to hear what my Dad has to say about my results. He knows quite a bit about these personality tests, and once told me what he thought I would be (too bad I can't remember what he said)! Have you taken a Myers & Briggs personality test before? Is it common to have different results when you take the test? My friend who was talking about it recently said she always gets the same results. I think I'll take it again in a few weeks, and see if I get "I" or "E" this time! I think if you're a moderate e or I it makes ense that it might show up different. That's happened to me before. I find personality tests so fascinating! i took this and totally forgot which one i got! very fun tho! I've taken this a few times and never remember the results. That's interesting that you got both introvert and extrovert. Did you ask your dad this weekend?? I would love to hear his thoughts on it!